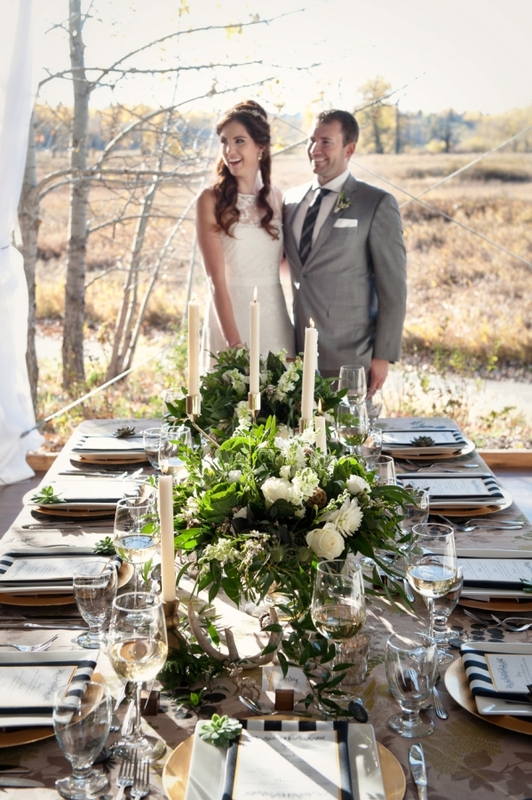 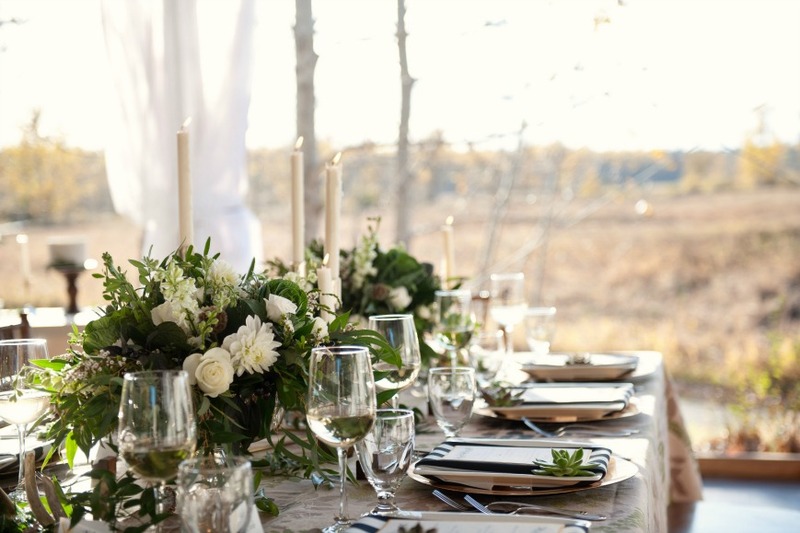 This natural wedding inspiration at the Meadow Muse Pavilion in Fish Creek Provincial Park is a perfect example of how you can incorporate natural elements into your mountain wedding and still have it be elegant and modern. 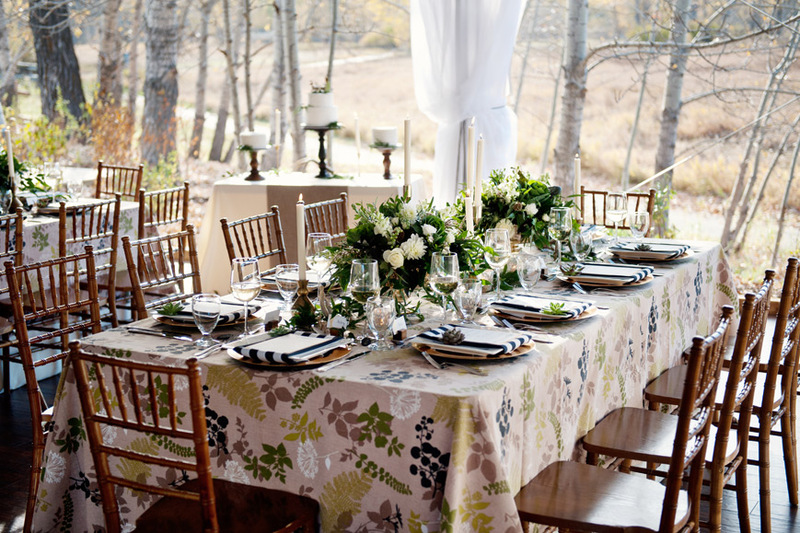 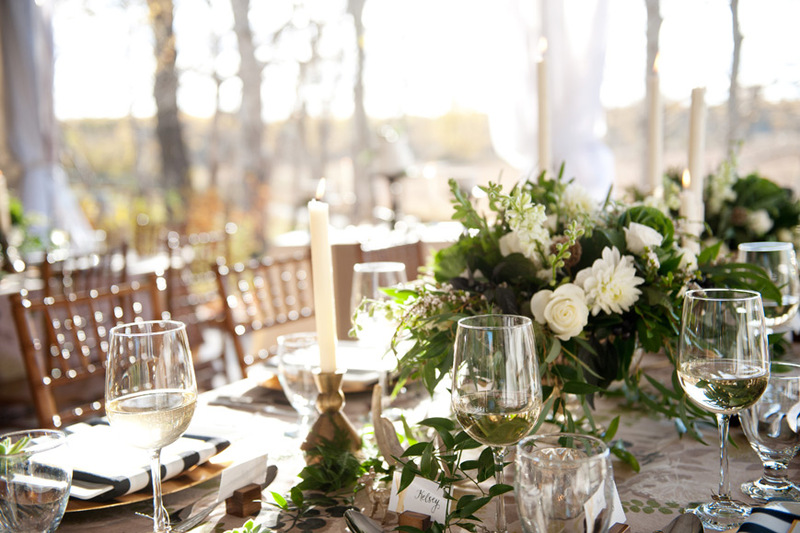 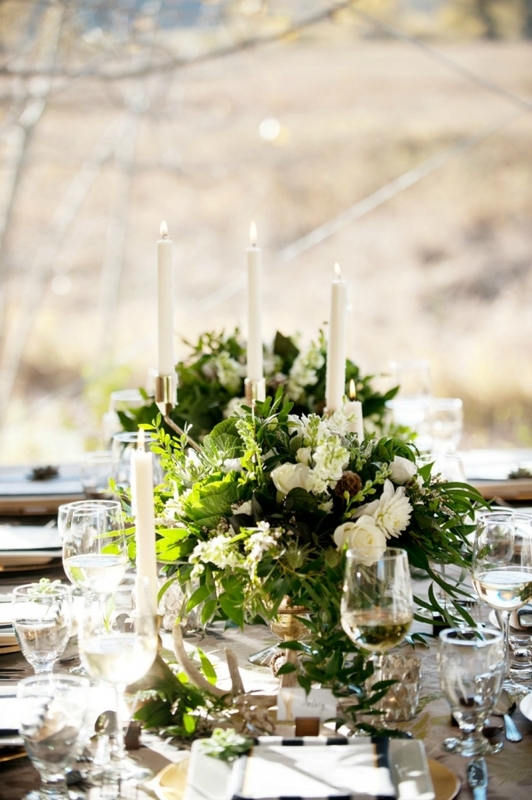 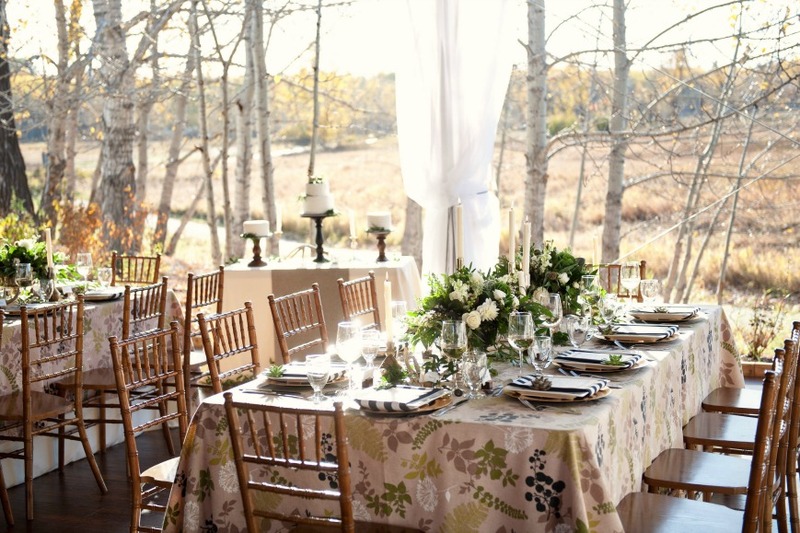 This natural wedding inspiration was a collaboration between Naturally Chic, Great Events Group, and Tara Whittaker Photography. 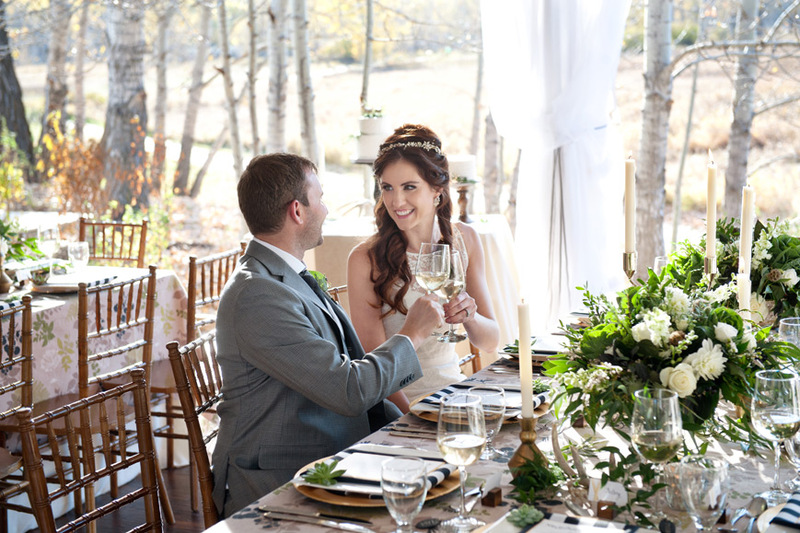 It took place on a beautiful, fall day at the Meadow Muse Pavilion in Fish Creek Provincial Park. 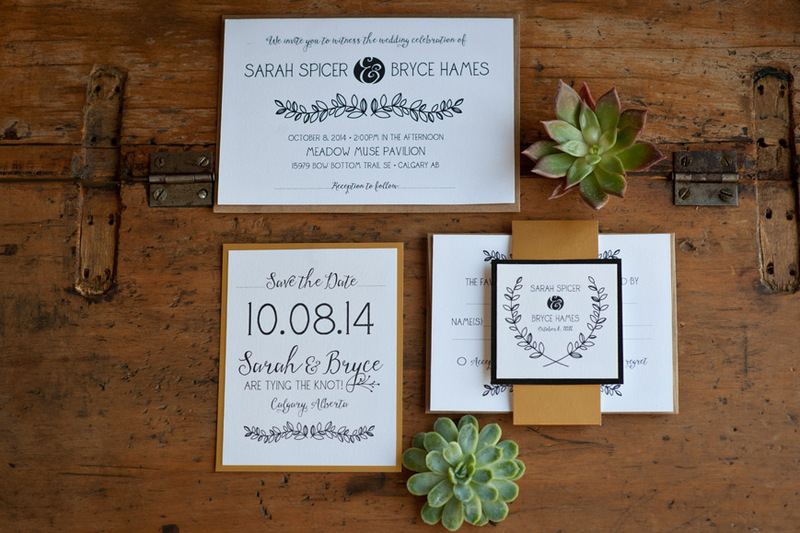 They were joined by the talented Sarah Mayerson Design and Modern Pulp Design Studio. 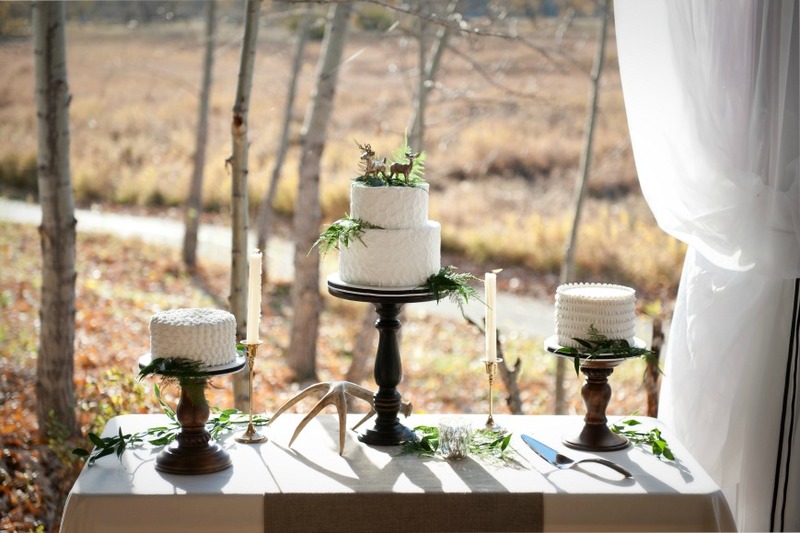 The results, I think, are beautiful! 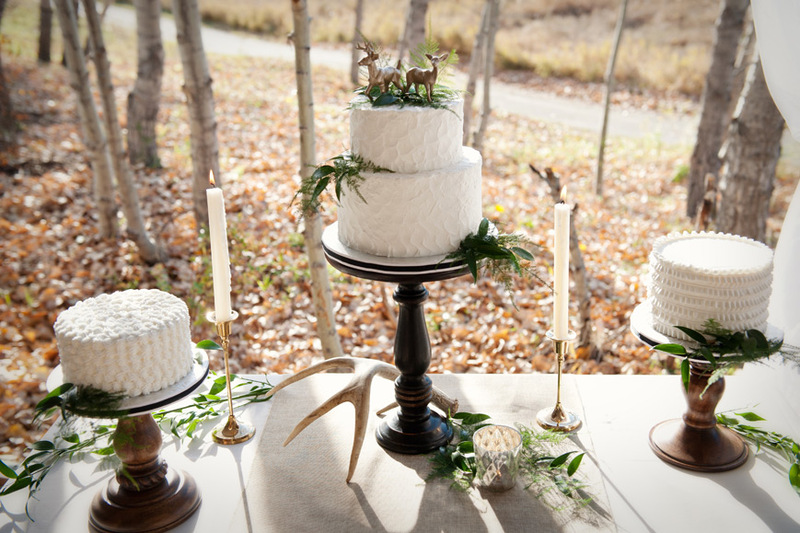 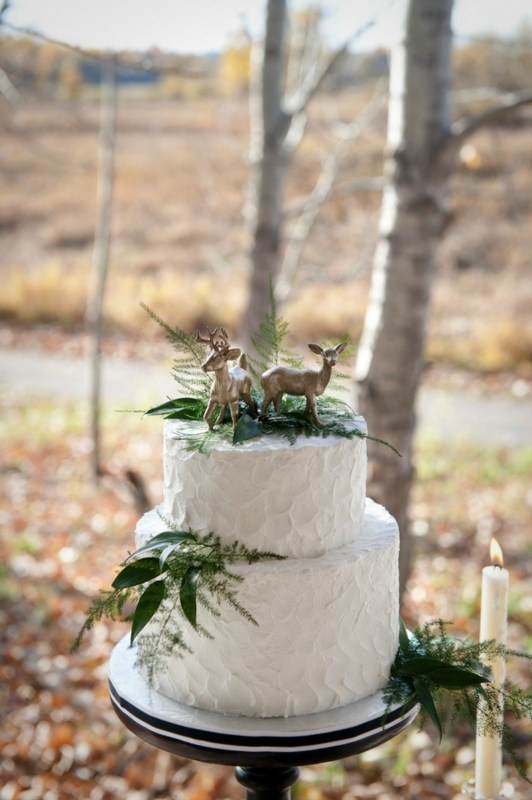 Cakeworks created these trio of pretty cakes that were adorned with tiny, deer figurines as cake toppers. 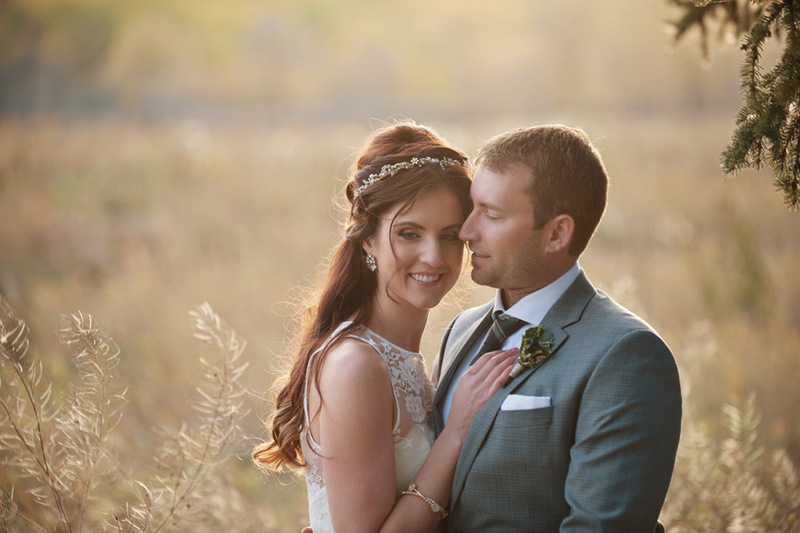 While Lyana Gibert from The Art of Beauty created a modern ‘half up, half down’ hairstyle for the bride and her makeup application was natural and pretty. 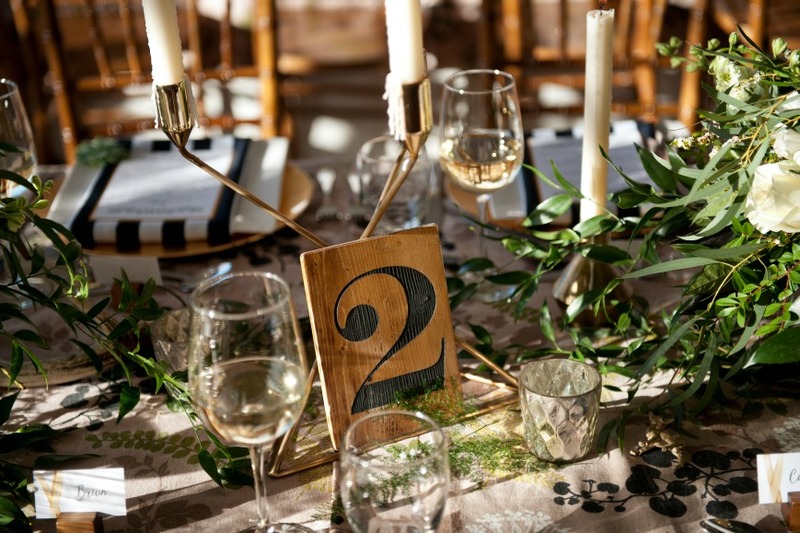 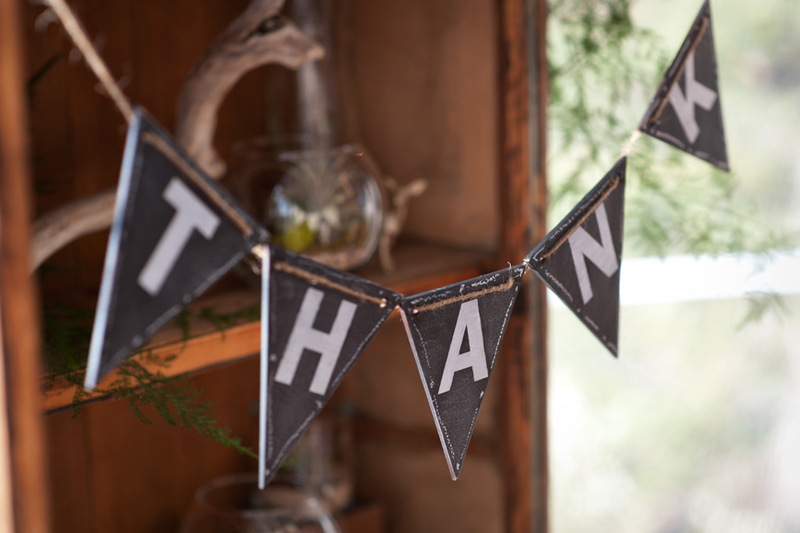 Naturally Chic created the wood, chalkboard bunting as a means of letting guests know they were appreciated. 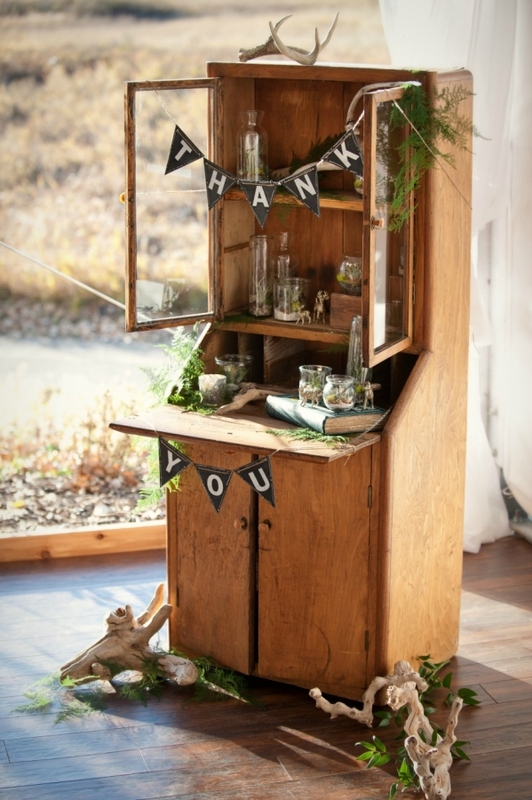 The thank you banner hung on an antique, wood hutch and housed small terrariums (from the Plant in Inglewood) that were given to the guests as wedding favors. 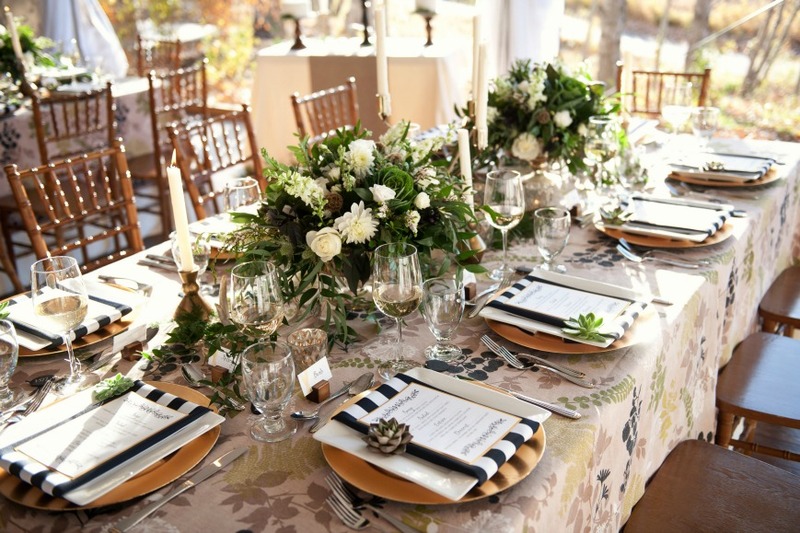 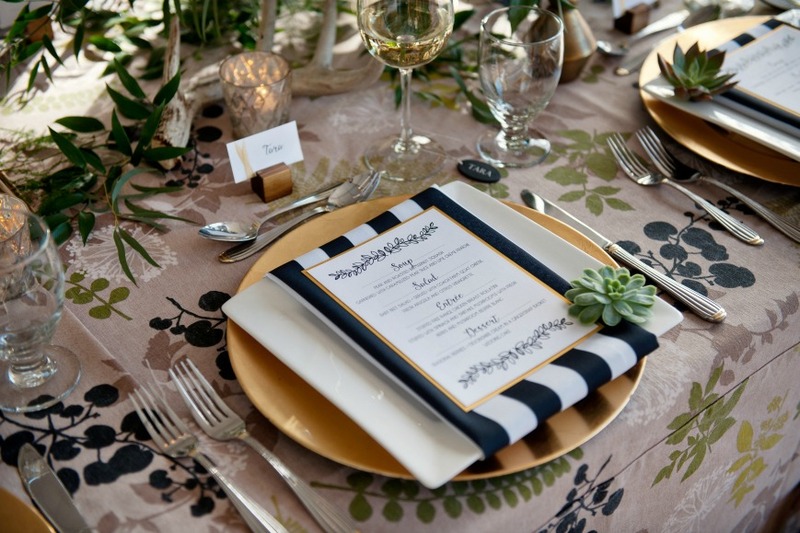 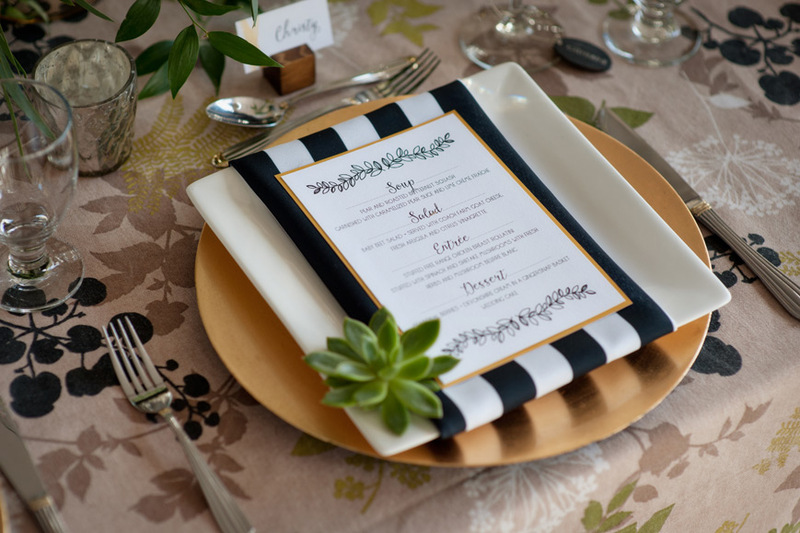 All the linens and decor were from Great Events Rentals, including the stunning botanical linens, striped napkins, gold chargers, plates, glasses etc. 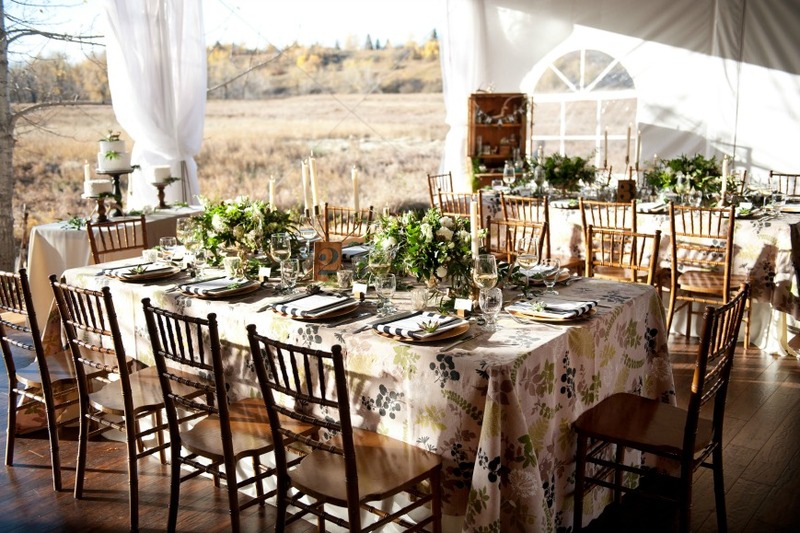 They are the exclusive caters for Meadow Muse Pavilion, making it a perfect, “one-stop” for venue, catering and rentals!! 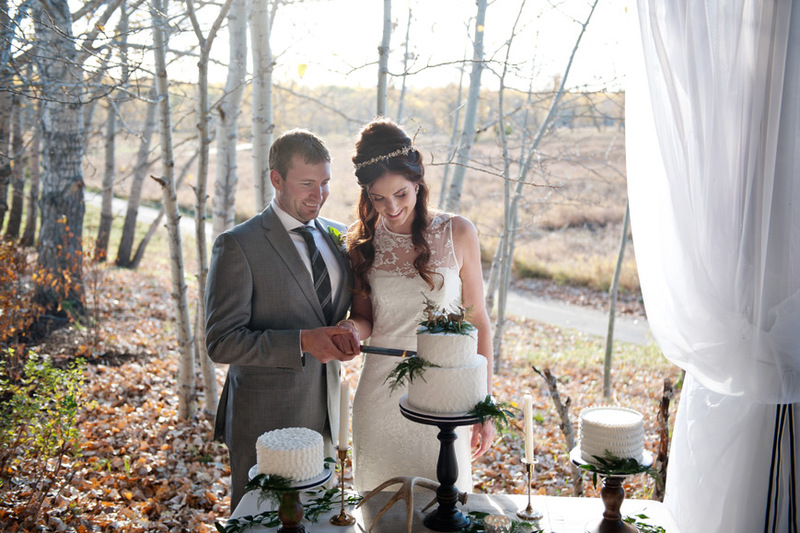 The bride and groom looked amazing in their attire from Frocks Modern and Ed Williams Menswear. 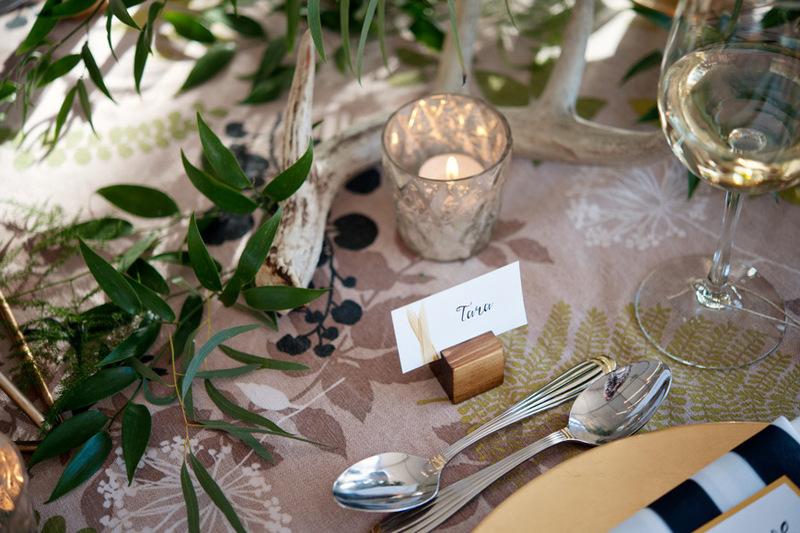 Venue: Meadow Muse Pavilion in Fish Creek Park; Photographer + Design: Tara Whittaker Photography; Wood details (table numbers, place card holders, chalk board wine charms, thank you bunting): Naturally Chic; Floral design + Styling: Sarah Mayerson Design; Wedding stationery: Ali Finch of Modern Pulp Design Studio; Terrarium wedding favours: Plant in Inglewood; Wedding Cakes: Cakeworks; Hair & Makeup: The Art of Beauty ; Wedding Dress: Nicole Miller from Frocks Modern ; Bride’s shoes: Nine West Canada; Groom’s Attire: Ed Williams Menswear.